A BC Christian Ashram Retreat will take place July 17 – 19 at Summit Pacific Campus in Abbotsford. (For a description of the ashram experience, see below.) The annual event is hosted by Ed Hird and fellow members of United Christian Ashrams. This year, as the event approached, he read the recently-released Gandhi Before India by Ramachandra Guha. Gandhi’s family sacrificed greatly to send him to England, even pawning the family jewels. While in England, Gandhi for the first time read the Bible, finding the New Testament compelling, especially the Sermon on the Mount. As Gandhi commented, it “went straight to my heart.” The lines about offering one’s cloak to the man who had taken away one’s coat touched him greatly. Gandhi demonstrated that the Sermon on the Mount will radically change one’s life and one’s society if put into practice. After completing his law degree, Gandhi returned to India for a short while before moving to South Africa. 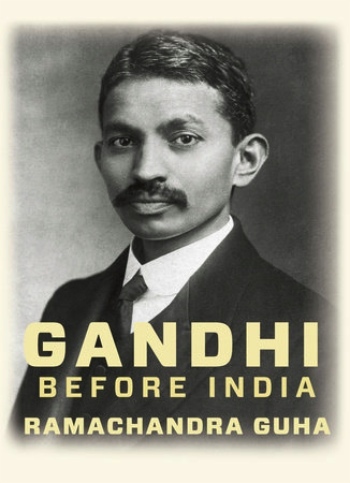 While there are numerous books on Gandhi, many skip over his foundational 21 years in South Africa. Even the excellent Gandhi movie by Richard Attenborough doesn’t do justice to the prolonged complexity of Gandhi’s time there. One of the people who had the greatest impact on Gandhi was Leo Tolstoy, especially his book The Kingdom of God is Within You: “He was overwhelmed by the independent thinking, profound morality and the truthfulness of this book.” Gandhi purchased and gave out, even to his jailers, countless copies of Tolstoy’s ground-breaking book on peace-making in the Sermon on the Mount. Upon returning to India, Gandhi was initially rejected by other Indians who feared they might become ritually polluted by even offering a cup of water to someone of the wrong caste. When Gandhi successfully stood up for their rights, he became hailed as a hero and liberator. Gandhi campaigned nonviolently for the independence of India for decades, spending 2,089 days (almost six years) in Indian jails. Jones described Gandhi as the architect of the new India. In many ways, Gandhi was like an Abraham Lincoln bringing freedom to hundreds of millions of his fellow citizens. Louis Fischer compared Gandhi to David standing up to the Goliath of racial discrimination. Gandhi went from being an initial supporter of caste discrimination to campaigning against its divisiveness. Most people believe in democratic freedom. Not many are willing to sacrifice over many decades to obtain such goals. Before Gandhi, it was mostly the Indian intelligentsia campaigning for democracy. Because Gandhi humbled himself and unselfishly served the poor and untouchables, both rich and poor awoke to the vision of an independent India. Gandhi made room for all, regardless of race, religion and wealth. 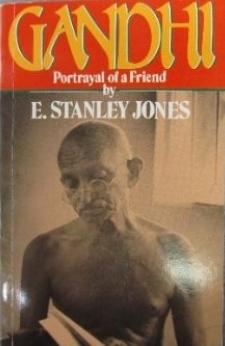 Albert Einstein said regarding Gandhi: “Generations to come will scarce believe that such a one as this ever in flesh and blood walked upon this earth.” In reading Jones’ book Gandhi: Portrayal of a Friend, Martin Luther King Jr. was inspired to launch the nonviolent Civil Rights Movement. E. Stanley Jones knew and admired Gandhi for his devotion to following the principles Jesus Christ taught in the Sermon on the Mount. In an India full of racial, religious and economic division, Gandhi brought people together, giving them a vision for an independent democratic India. Gandhi, whose favourite hymn was ‘When I Survey the Wondrous Cross,’ chose the costly way of the cross, of sacrificial love even for his enemies. On the wall of his mud hut was a black and white picture of Jesus Christ under which was written ‘He is our peace.’ Gandhi was a peace-maker who chose to forgive those who despised him and rejected him. Every day he would read Jesus’ Sermon on the Mount, motivating him to peacefully love his adversaries. Gandhi was very drawn to the person of Jesus Christ. My prayer for those reading this article is that we may embrace both the principles and person of Jesus’ Sermon on the Mount. Ramachandra Guha, Gandhi Before India (Random House Canada, Toronto, 2014), p. 34-35. Louis Fischer, Gandhi: His Life and Message for the World (Signet Classics, New York, NY, 1954, 1982), p. 20. Jones, p. 6; Arthur Herman, Gandhi and Churchill (Bantam Dell, New York, NY, 2008), p. 120-121 The early Gandhi in 1921 supported caste discrimination: “Prohibition against intermarriage and interdining (between Hindu castes) is essential for the rapid evolution of the soul.” By 1932, he rejected such prohibitions. By 1946, he only permitted inter-caste weddings on his premise. Guha, p. 582 “(At the end of his final fast) the girls sang his favourite hymn When I survey the Wondrous Cross.”; Jones, p. 39, p. 141. This article is re-posted by permission from Ed Hird’s blog. Ed is rector of St. Simon’s Church North Vancouver and author of Battle for the Soul of Canada and Restoring Health: Body Mind and Spirit. The word ‘ashram’ – meaning ‘retreat’ – is a word that comes from Sanskrit. 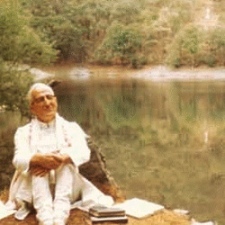 Following a personal retreat experience in India, missionary E. Stanley Jones recognized the significance and value of a time for alternating discipline and rest, seeking spiritual health and renewal. Returning to the United States, Dr. Jones adapted this ancient retreat approach to be centered on Christian teaching and ecumenical community. Each Ashram today continues to follow the original format instituted by Dr. Jones. The unique Ashram format offers a break from everyday demands to allow space and time for learning, prayer, reflection, fellowship and rest. Early in the retreat experience, participants gather into small groups to express in a heartfelt way the blessings, needs and spiritual desires that they have coming into the Ashram. This time lays the groundwork for the openness and closeness that will be shared over the next few days. Journeying together throughout the retreat, prayer groups offer each Ashram attendee the opportunity to reflect on what they have heard, share what they feel, receive encouragement and join in prayer for one another in love. Opening to God’s Spirit and rekindling the fire of our faith is an essential goal of the Ashram experience. Gifted and qualified Christian Ashram evangelists are dynamic, bold and relevant in their proclamation of the Word. Often a pivotal moment during the retreat, each Ashram includes a time when participants are given the opportunity to receive physical, emotional, mental and spiritual healing through prayer and community support. Is it alright to drop in for a day at the BC Christian Ashram Retreat? I am interested in this (as you already know) but won’t be able to make it for all those days. The reason nobody talked about Gandhi in Africa is because he was a racist who contributed to segregation and saw black people as “sub humans” below even the lowest Indian Caste. RE Christianity he made my favorite quote about the church: “I love your Christ, but I dislike your Christianity” which may not be an exact quote but it sums up how he saw Christianity. He liked the parts that already agreed with his own philosophy but rejected the thing as a whole.